Planters are the perfect solution for situations when you don’t have the space for a full-blown garden and don’t want to restrict yourself to small pots. Whether inside or outside, tasteful planters can add a completely different charm to the area they are placed in. What's more; they are flexible too. You can place them on the floor, or hang them against walls or from the ceiling, depending upon their size and weight. So why not add a little bit of nature to your home with these cute garden accessories? Don’t believe us? Take a look at these 10 creative ideas to bring home planters even if you have a teeny tiny space to spare. 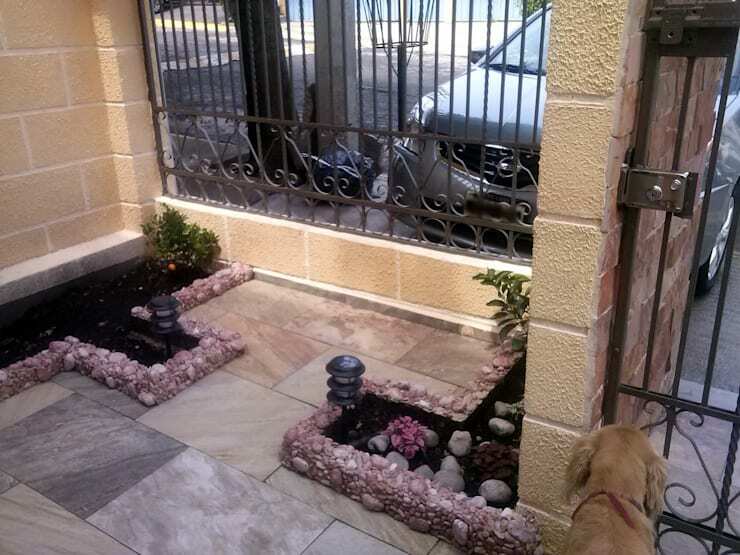 This idea is perfect when you want to place planters inside the house or along the approach leading to your entrance. Pick an area that does not have a lot of furniture. Line one side with planters that reach up to the knee. The length of the planter will emphasize the beautiful plants you place in there. It might be unusual, but the final streamlined look will surely turn out to be beautiful. If there isn’t enough space on the floors, the wall is your limit! Built-in wall planters are perfect for small spaces with empty walls. 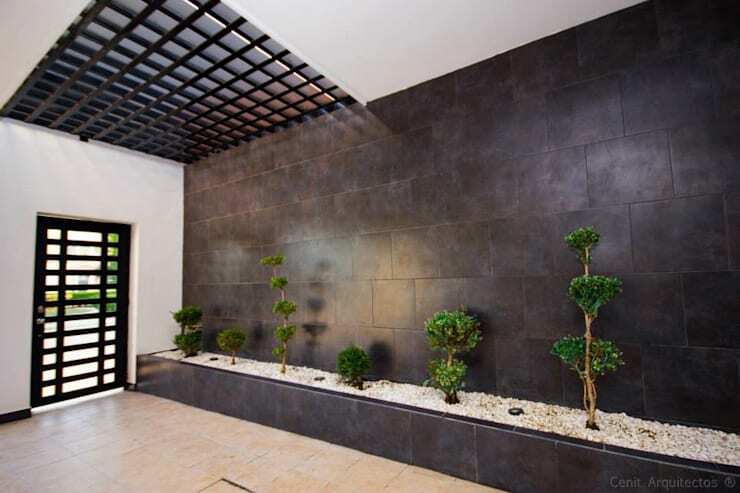 You can adorn one wall with planters and arrange them in a way so that they form a cohesive design. Pick plants which don’t require much watering, so that the moisture doesn’t seep through and damage the surrounding walls. Placing planters on a floor might seem like obstruction of the walking area. But with careful planning, you can introduce certain sections in the floor which can behave like planters as shown above. These need not be too high, and this way you won’t land up with a garden which hinders free movement. Use short plants for these planters and you will fall in love with the arrangement. We bet you haven’t thought of an idea like this ever. Lining the entire garden floor or any other surface with sleek tiles which will act as small planters is perfect when you want to create an entire field of greenery. To achieve this unique look, you can also consult a landscape designer for more guidance. Tiny spaces call for innovative ideas. If you want to create a green space in your home, but are short on space, make use of a combination of planters, pots and hanging pots. 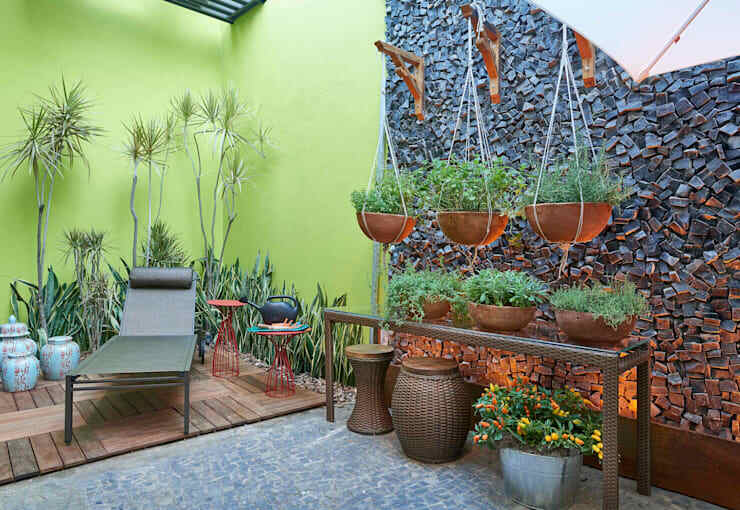 The planters can take up the corner space, while the hanging pots can be arranged wherever the wall allows for a hook. Can’t figure out how to fit traditional planters into your extremely modern home? 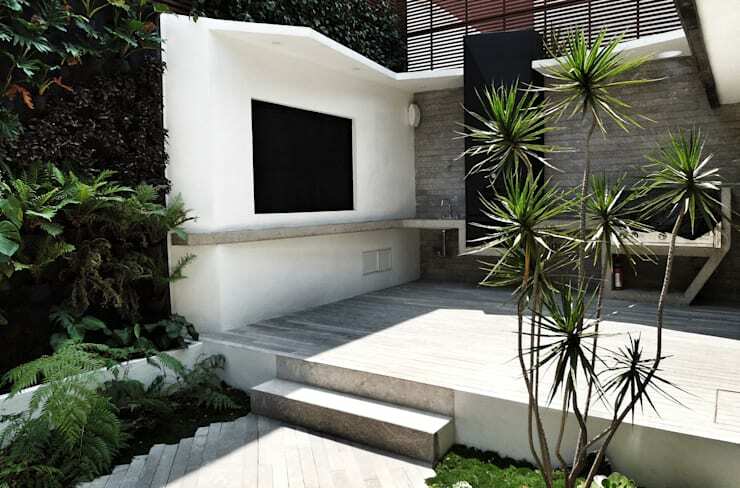 Fear not, because customised planters or flower beds can be created by designers and architects. Check out the fluid designs shown above for inspiration. 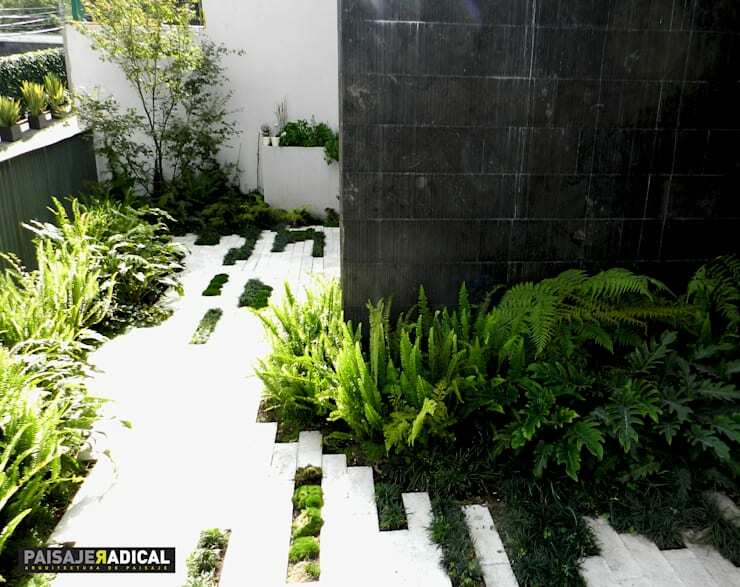 This pristine white and green vista was rendered by the architects at Punto A Punto Arquitectura in Celaya. Blessed are those who have a big enough terrace or garden with two levels. 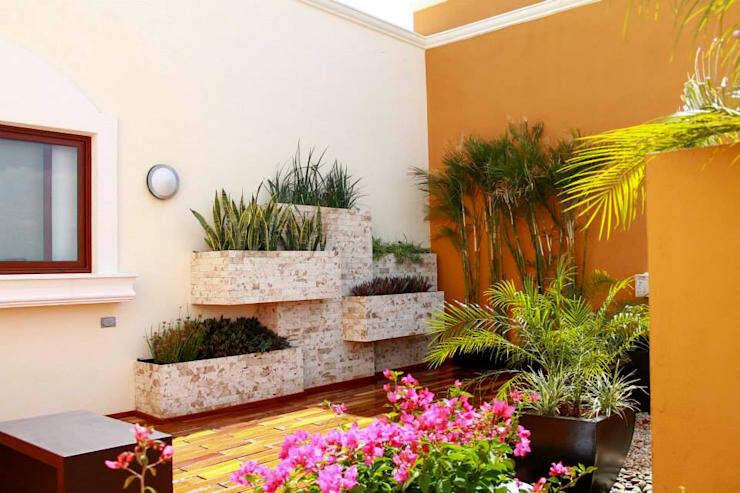 We advise that you make the most of this space by placing planters on both levels to create the perfect garden for your home. One level can be for decorative plants and the other can house your own vegetable garden. Placing planters around the perimeter of any open space in your home or apartment is just what you need to enjoy your garden fully. 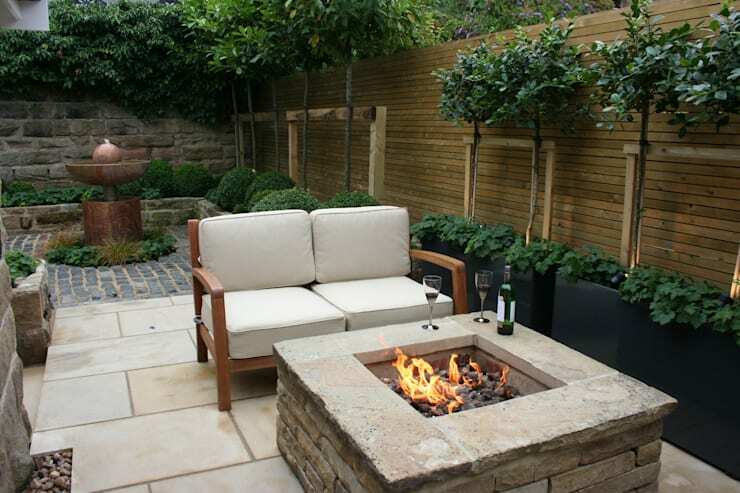 Don’t worry about cutting down on the available space, use long planters that stick to the wall and will leave you with enough space for introducing furniture and a campfire too! Placing planters on any three sides of your terrace or garden, leaving one side open creates a great space to relax in. The open side can lead into the house or apartment. 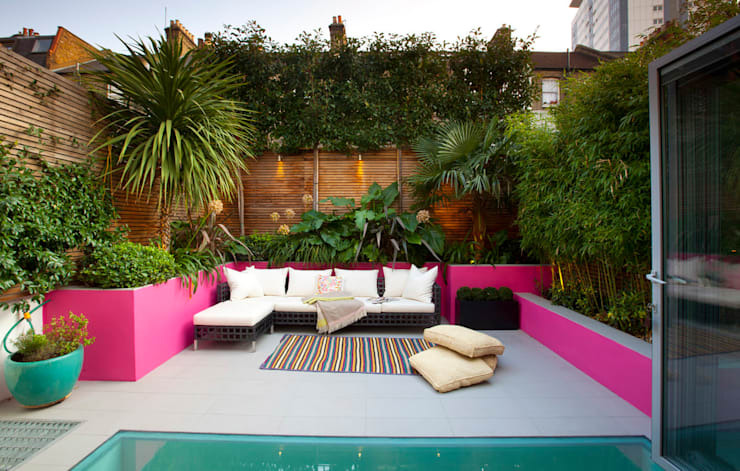 This kind of placement gives you a garden, while maintaining enough space for movement around the terrace. 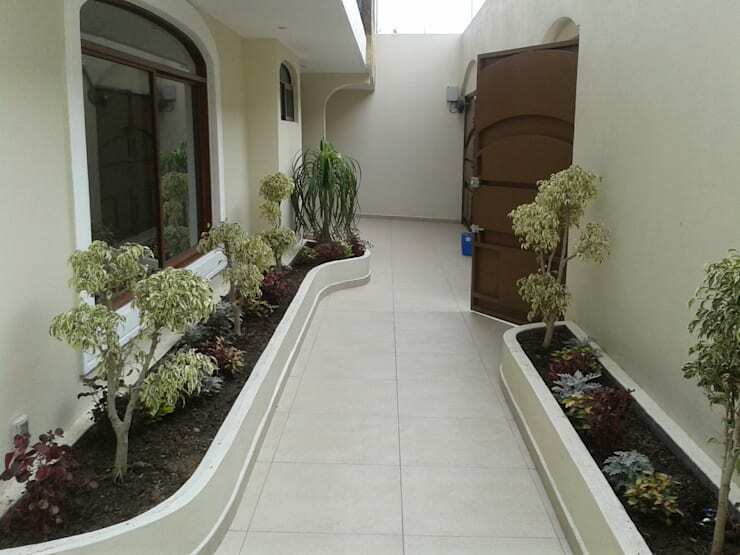 Planters can also be placed on top of boundary walls to save space on the floor. This way, your plants get enough sunlight to grow and flourish too. And this also allows you to grow a wider variety of plants, since you are not limited by the constraints of space and lack of sunlight. Which of these planters would you like in your home?